Looking for an elegant diamond cut? Then consider the marquise cut diamond. Also known as the navette, boat, eye, or foot-balled shaped cut, a marquise diamond cut will draw attention to your exquisite taste. The marquise cut is especially fresh in a sea of round brilliant, cushion, oval, and princess cut gemstones. 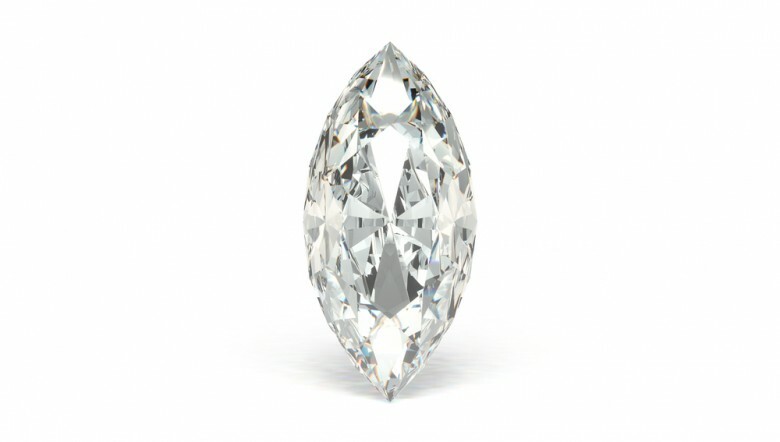 A marquise cut features an elliptical shape, pointed ends, and 56 light-catching facets. The diamond cut tends to slenderize the fingers. The origin of the marquise cut is attributed to 18th-century monarch King Louis XV (reign from 1710 to 1774). Louis asked his royal jeweler to capture the sensuous lips of Jean Antoinette Poisson (Marchioness Madame de Pompadour) in a diamond cut. Eh voilà–regal love and passion conceived the marquise cut for you to enjoy now. What Is a Marquise Cut Diamond? A marquise cut diamond is considered a modified brilliant-cut. Its curved, sensuous diamond shape is elongated. Pointed ends of the marquise cut can be mounted north to south or west to east for special drama. The long, narrow marquise cut makes the gemstone look larger than other cuts of the same carat weight. To demonstrate the larger perceived size of the marquise, place any carat size marquise cut next to a similar weight round brilliant, oval, or emerald cut diamond. You may be surprised at how much larger the marquise cut appears than the others, especially when mounted as a solitaire. The striking, slender marquise cut diamond and rings seem to go together. 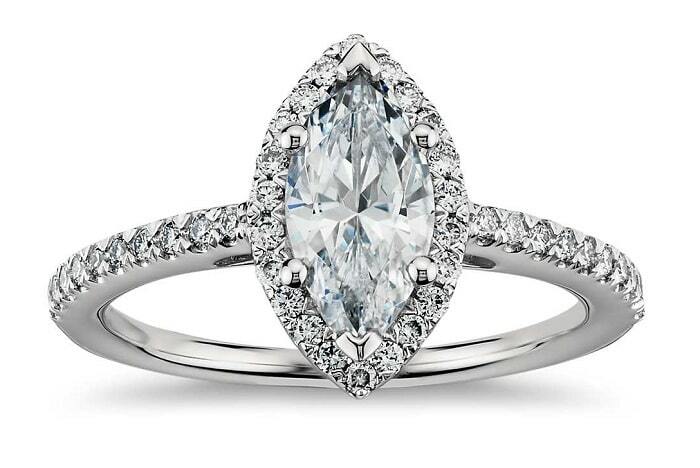 The marquise cut’s elongated shape flatters any finger but looks especially gorgeous on the ring finger. Celebrities including Catherine Zeta-Jones and Victoria Beckham wear their gorgeous, large marquise diamond rings well. If the marquise cut gemstone calls to you and you want to wear your ring every day, look for a secure setting to avoid chips or breaks. The marquise cut’s potentially beautiful but fragile points must be protected. Consider the V-prong mounting to wrap the marquise cut’s points in protective precious metal. Make sure your marquise gem is properly cut: a poorly cut marquise can mean sharp edges or heart-breaking damage in the future. The traditional proportional marquise cut’s length-to-width ratio of 1.75 to 2.25 (visually, about twice as long as the marquise cut gem is wide), but it’s really a matter of taste. Before you find the marquise cut ring of your dreams, take a few moments to learn about generally considered ideal proportions of your gemstone. Although the precise proportions of marquise cut stones aren’t as universally established as those of the round cut brilliant, use these guidelines to select a symmetrical gem. 1. The table or top of the marquise cut should be 53 to 63 percent of the girdle length or the outermost edge of the diamond. Pass on a stone with a lower than 50 percent or greater than 70 percent table. 2. Avoid any marquise cut gem with a very thin girdle. These stones are at higher risk of chips and breaks. Avoid very thick girdles for the sake of proportion. 3. The crown height, the top part of the stone (above the girdle), should be 12 to 15 percent of the girdle. Experienced diamond cutters say to avoid any gem with a crown height less than 10 percent or greater than 17 percent of the girdle. 4. The depth of the gem, the distance from top to bottom, should be 59 to 63 percent of the girdle. Thin marquise cut stones with overly narrow pointed ends can break more easily than a symmetrical marquise cut gem. 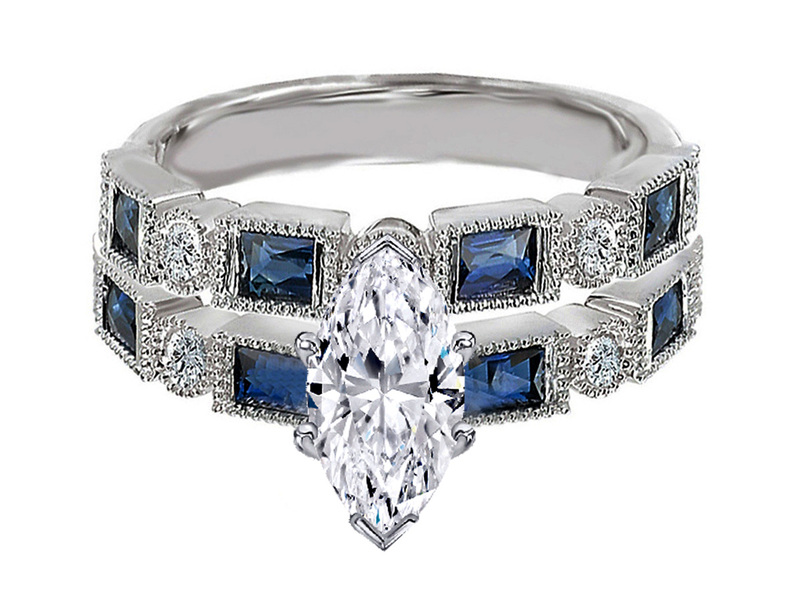 Look for alignment between the marquise cut’s points and symmetry between the right and left of the gemstone. Unfortunately, mounting a poorly cut marquise cut diamond won’t disguise the facts. Look for the Bowtie effect as well. A well-cut marquise cut gem reflects light in a particular way. The way to test is simple. View the marquise cut from the top. If you see a very tiny dark spot at the gem’s center, it’s a trick of the light. That’s the Bowtie effect. If you don’t see the Bowtie effect when the diamond is in a face-up position, it’s probably cut too shallow or too deep. Now, let’s review marquise diamond buying guidelines. The marquise cut gemstone tends to show off its color. 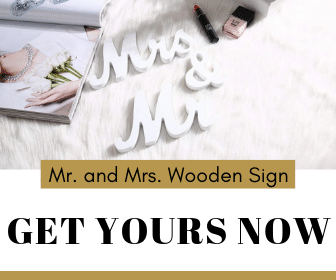 Buying a less expensive marquis cut diamond, less than G or H color, will look more yellowish to the eye if you’re planning to mount in white gold or platinum. If you love yellow gold, the decision to buy a less expensive color diamond, such as I or J color, may work well for you. Yellow gold can make the jewelry grade diamond look whiter in that case. Inclusions in your marquise cut gemstone may be more visible than other diamond cuts but, like proportion, clarity standards are a matter of taste. 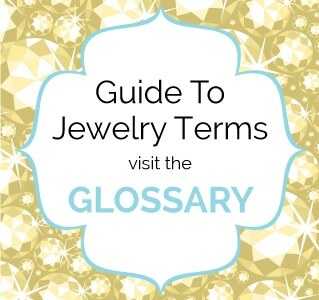 You may prefer a flawless diamond (internally flawless – IF – is the term used for high clarity diamonds) or be okay with a very slightly included (VS-1 or VS-2) gemstone if the inclusions aren’t noticeable. If the marquise diamond is well-cut, you may even find a slightly included (SI-1 or SI-2) gem that meets your standards. Remember that most inclusions aren’t visible to the naked eye. Only a jeweler can identify them under the loupe or microscope. Many buyers prefer the simple but timeless look of a Tiffany style solitaire. It’s always in good taste. If shopping at Tiffany’s isn’t in your budget or preference, ask your jeweler to show marquise cut gems in Tiffany settings. Others adore the marriage of high carat white gold Edwardian-era rings (1901 to 1914) and marquise cut gems. Although antique Edwardian rings are available in the market, they can be expensive. If you like the look of a “navette” Edwardian ring, it’s possible to buy a replica or Edwardian-style mounting at a fraction of the antique cost. After you select the setting style, remember the importance of protective prongs for your diamond. In addition to protecting your marquise diamond, the prongs can also hide tiny flaws—inclusions or extra facets—found at the outer edge of the gem. Buying a diamond is always an exciting moment in time. In this article, we reviewed the “4c’s” basics of diamond buying: color, cut, clarity, and carat. We drew the information from Gemological Institute of America’s (GIA) research. Since GIA’s standards are in common use throughout the international diamond market, ask questions concerning the gemstone’s proportions and symmetry. Your diamond is an important purchase. You now know that the marquise cut gem will appear larger on your finger. 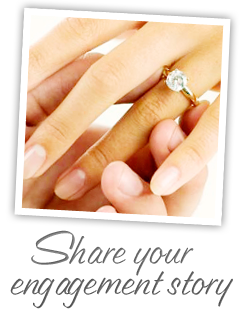 Consequently, it will probably draw a lot of attention to your beautiful hands. Don’t wait another minute to own yours now. Marquise diamonds come at a resonable price and they can last you a lifetime.